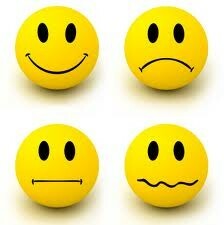 Emotions are probably the most fascinating of all mental processes and involve two phases of feeling and reaction. Are these two phases necessarily interwoven? Of course, they are. There could be overt or covert reactions to emotions but there is "always' a reaction and an associated feeling. The emotion is a perception of bodily states. This means there is first a reaction in the body and when there is perception of this reaction, emotions are experienced. The body reacts and creates a feedback and only then we perceive the emotions. There are many categorizations of emotions and one of these highlight emotions caused by internal body states such as pain or hunger and emotions caused by external stimuli as in the case of anger or fear. Emotions could be positive and negative as we know as the positive emotions are love and happiness, empathy, affection, curiosity, ecstasy and the negative emotions are jealousy, hatred, grief, anxiety, frustration etc.